This short, apochromatic Barlow lens is an alternative to the use of eyepieces with short focal length for reaching high magnifications. 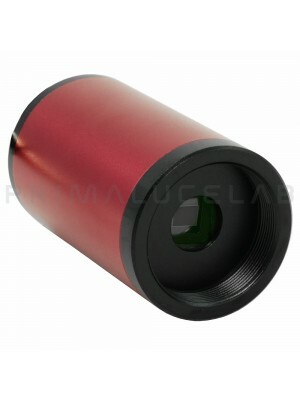 5x the focal length and magnification, with 3 lens apochromatic element. Fully multi-coated lenses with blackened edges, barrel size 31.8mm. All metal design, short length with precise lock by brass compression ring. For high magnifications, like for observing moon and planets, you need to use short focal length eyepieces. These are often either very expensive or have a very narrow eye relief, making them rather uncomfortable to use. For astro-imaging with a large magnification you can do eyepiece projection, but this offers only a limited sharpness throughout the photographical field. The TS Optics APO Barlow lens is the ideal alternative for both applications. The large magnification factor 5x turns for example a 25 mm Plossl eyepiece into a 5 mm eyepiece, while retaining the comfortable eye relief of the longer eyepiece. This is very comfortable for observing planets. 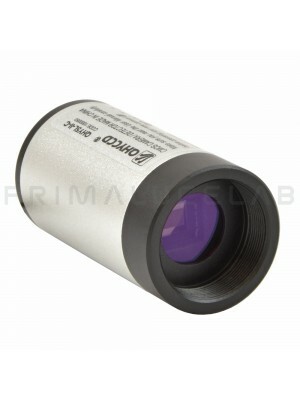 For high magnification astro-imaging, like for webcam imaging of the planets, you could use eyepiece projection photography. The better alternative is the 5x Barlow lens because it offers a better field sharpness than typical eyepiece projection. Experience shows that for planetary imaging an effective focal ratio of f/25-f/30 is ideal. As a result this Barlow is the perfect match for most Newtonian telescopes. - Blackened Lens Edges: Yes. For suppression of internal reflections.